Vietnam Airlines and Sabre Corporation are delighted to announce an expanded agreement which reaffirms their long-term partnership. The carrier will leverage the breadth of SabreSonic, Sabre's passenger service system (PSS) that Vietnam Airlines is now operating on, to improve its retailing, distribution and fulfilment capabilities. "It was an obvious choice to continue our multi-year collaboration with such an innovative technology provider as Sabre, allowing us to offer an enhanced experience to our customers," said Trinh Hong Quang – Executive Vice President of Vietnam Airlines. 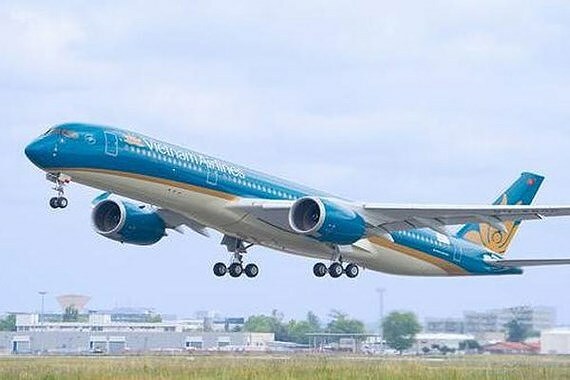 "By integrating Sabre's advanced solutions to an already robust platform, Vietnam Airlines will be well-equipped to address the fast-changing air travel landscape," he added. With the use of Sabre's innovative technology solutions, customers will be provided with a seamless experience, from flight search, online booking, check-in, purchasing ancillaries on websites, and after-sales service. This differentiated experience will be powered by Sabre's powerful passenger service system, with enhanced functionalities that will provide increased revenue opportunities by tailoring offers and experiences to meet the needs of every traveller. "By implementing this breadth and depth of Sabre innovation, Vietnam Airlines will increase their competitive advantage in the Asia Pacific market," said Dave Shirk, president, Sabre Airline Solutions. "Our two companies have generated impressive results over the course of our lengthy relationship. With our customer-centric retailing, distribution and fulfilment capabilities, Sabre will continue to bring significant value to Vietnam Airlines as they strive to become one of the region's largest carriers," he added.